With 120,000 soldiers organized in four divisions, the Japanese attempted a third attack on the Chinese city of Changsha. 300,000 men defended the city under the command of General Xue Yue who had previously evacuated all but 160 civilians from the city. On 27 Dec 1941, the Japanese 3rd, 6th, and 40th Divisions attacked from Yueyang, northeast of Changsha. As the Japanese crossed the Luoyang River, they realized they marched into a Chinese three division-strong ambush. The third Battle of Changsha (December 24, 1941 – January 15, 1942) was the first major offensive in China by Imperial Japanese forces following the Japanese attack on the Western Allies. The offensive was originally intended to prevent Chinese forces from reinforcing the British Commonwealth forces engaged in Hong Kong. 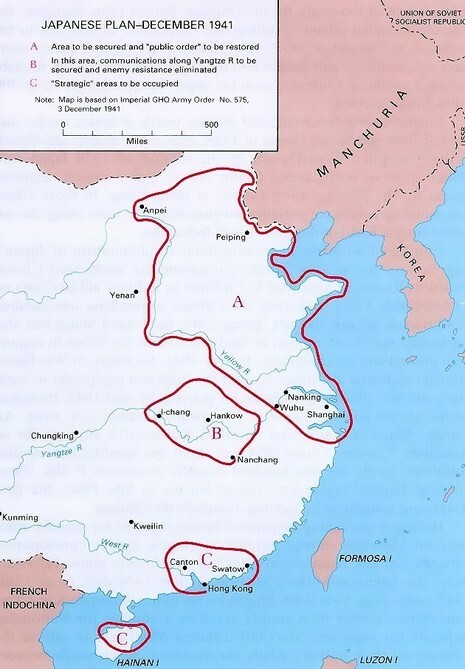 With the capture of Hong Kong on December 25, however, it was decided to continue the offensive against Changsha in order to maximize the blow against the Chinese government.